Fat Cavitation technology offers a non-invasive and non-surgical alternative to liposuction for the removal of stubborn fat and cellulite and aims to improve and enhance the shape of the silhouette through targeted body sculpting, toning and lifting. Fat Cavitation enables superior results on traditional face and body improvement treatments and unlike invasive procedures, requires no anesthesia or downtime following treatment so clients are free to get on with their day as usual. Another benefit of Fat Cavitation is that it only targets the unwanted fat cells, leaving surrounding healthy tissue intact. Treatment is completely comfortable and spaced at weekly intervals in order to allow the cavitation process to take full effect. The number of sessions required will vary depending on the client’s individual needs and area being treated. All of our Fat Cavitation machines are of the highest professional quality and come with included comprehensive device training to ensure therapists can confidently, and skillfully, deliver outstanding body enhancement results for their clients every time. Radio Frequency (RF) skin tightening is an ideal treatment for clients who are dealing with loose, sagging skin and/or fine lines and wrinkles, but don’t want to go down the surgery path. Nowadays you’ll find RF Skin Tightening treatments available in many salons, medispas and skin clinics that wish to tap into the rising demand for non-invasive skin tightening and rejuvenation for the face and body. Clients simply need to sit back and relax while the beauty technician slowly rotates a handpiece over the treatment area (take loose skin on the tummy for example). This handpiece delivers RF energy through the upper layers of the skin to the dermis, warming it up to around 40°c. The client will feel a warm sensation, but it doesn’t burn or hurt – the heat bypasses the epidermis altogether. Bundling services can be a tremendous benefit to any business. The same theory can be used in your salon or clinic business when it comes to partnering specific services with other services that you offer. If your business has a fat cavitation machine, then you know you can benefit from a quick return on investment with one convenient machine. 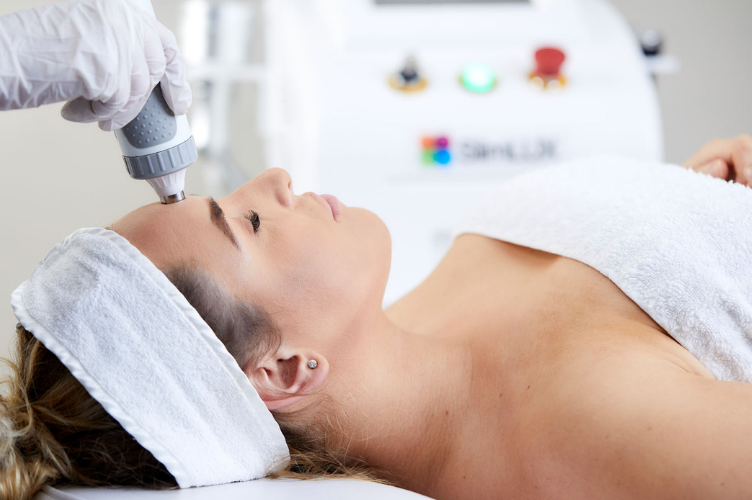 Adding additional aesthetic procedures to your service menu, when you’re already offering fat cavitation treatments, opens your business up to a plethora of revenue. How can partnering fat cavitation machine services with other treatments benefit your business? Bundling Ultrasound Fat Cavitation services with other services can get new clients in the door. Lots of businesses are offering fat cavitation treatments, but if you’re looking to stand out among the crowd, partnering these services with another treatment can make your business seem more appealing. People love a deal. Say for example, you partner a fat cavitation machine treatment package with a free session of IPL treatment. Since treatments with an IPL machine require several sessions, you’ll not only gain a new client for fat cavitation services, BUT you could get a repeat client for other services that you offer as well. Whether you already offer additional services aside from fat cavitation machine treatments, or you’re looking to purchase another machine that provides effective aesthetic services, there’s additional revenue to be found through bundling. When you purchase a machine from us, you get built-in training, advisement, and marketing support. Contact us today to learn more! Please also view our Sales and Financing options for a solution that works for your salon, or call our team of experts now on AU 1300 655 013 or NZ 0800 398 749 and let us help tailor a custom made solution to suit your individual business and budget.